Need Urgent Care? Reserve Your Spot Online and Reduce Your Wait Time. A new reservation system available via smartphones, tablets and computers gives patients the option of choosing the most convenient time for them. 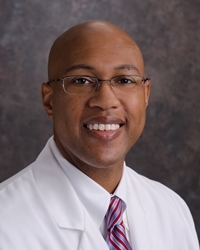 The following article was written by Chris Branner, MD, MPH, FAAP, Assistant Specialty Medical Director, Urgent Care Services You can order a meal from your phone, check-in with the airline before your vacation and book a hotel in a far-off city. A world full of services is accessible with one easy click. We are programmed to use technology to gain what we need at any time. Why should healthcare be any different? As an urgent care pediatrician, I’ve seen parents line up car seats, strollers and coats outside of Carolinas HealthCare Children’s Urgent Care-Blakeney, to save a place in line to see a provider when the doors open. That sight was always concerning to me, as a doctor. The frustrating reality for our patients was that, despite arriving before the clinic opened, they would still often have to wait for over an hour if they were at the back of the walk-in line. For decades, urgent cares have been built as walk-in facilities, with no way of reserving a time. People scheduled a block of their day to come and wait. In a world where other services are accessible within minutes, healthcare is now catching up. 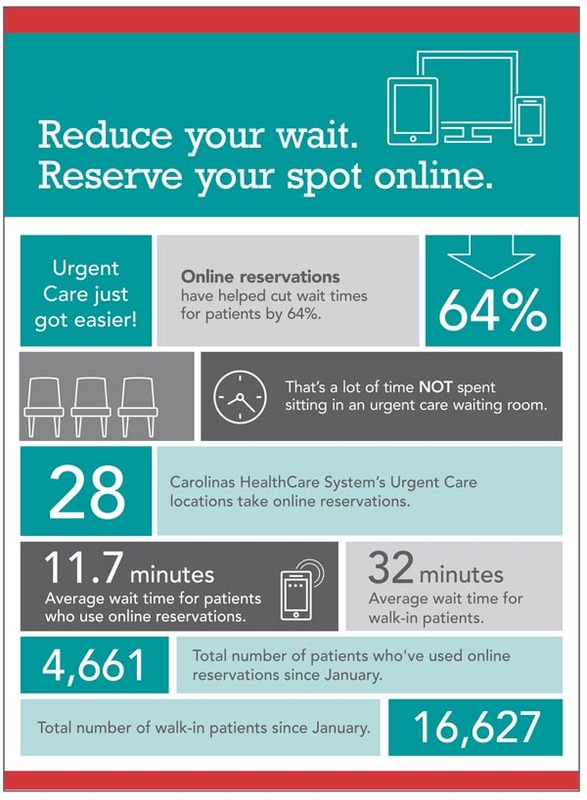 With the launch of Carolinas HealthCare System’s new urgent care reservation system, patients can wait from a convenient place – whether it’s on their couch or at a Starbucks – and still get in to see an urgent care provider. Anyone can go online using a computer, tablet or phone to reserve a spot in line at one of Carolinas HealthCare System’s 28 urgent care locations. With this new system, I’ve seen patients come in for a reservation after waiting less than ten minutes in the waiting room. The time frame will vary based on emergency cases, but the accessibility has increased. People can choose the time frame they’re seen by a provider and adjust their time slot from a phone or computer if something changes in their schedule. Similar to a restaurant reservation app on a phone or an airline virtual check-in, people can choose what works for their schedule. Having the ability to adjust your plans and change your reservation time if you’re anticipating traffic delays or at home with your child, hoping they can finish their nap, is a game changer for urgent care. Instead of sitting in a waiting room, feeling miserable, you can reserve a time on your phone and plan your day within minutes. Instead of putting a stroller or jacket down outside in hopes of keeping your spot, reserve your spot online and rest assured that your spot is being held virtually, thanks to new technology!